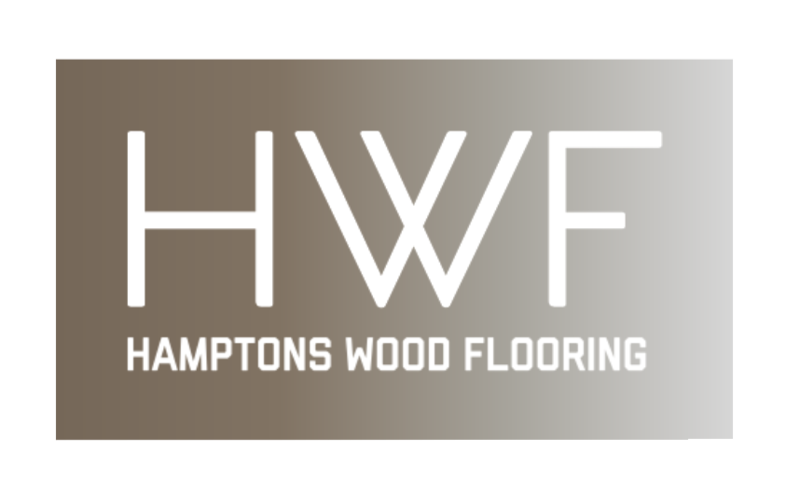 Hamptons Wood Flooring, a family owned business established in 2004. 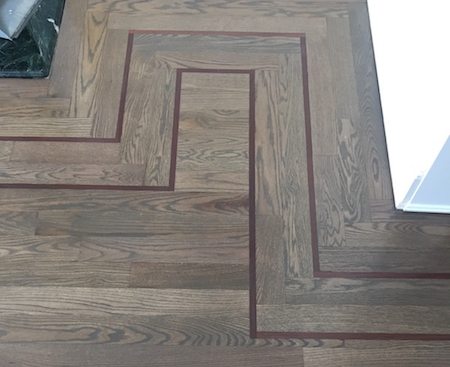 We proudly serve the Hamptons and all of Suffolk County with a team of expert craftsman designing and restoring wood floors. 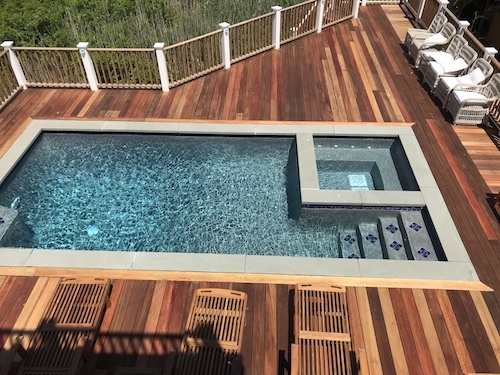 Whether you choose reclaimed wood or engineered planks, we source the highest quality materials, including domestic and exotic wood species, to create medallions, borders, handscraped designs, and much more. Over time, even the most beautiful and well installed hardwood floors will eventually need refinishing. 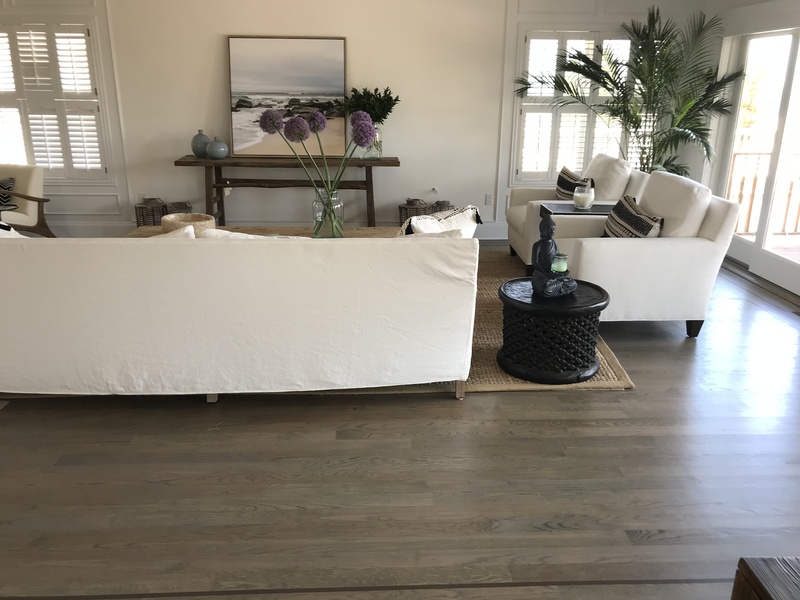 Our Hamptons Wood Flooring refinishing process begins with a thorough evaluation of the floors needing refinishing and a good conversation with the homeowner. We want to know what the traffic is like in any given area, if there are any pets, the finish or how glossy the homeowner wants the floors, and if there is a change in color that the homeowner would like to see on their floors. The great thing about most hardwood floors is that, even if they were stained in the past, if the floor is in good condition, we can easily change the color to stain any existing hardwood floor. Our dedicated professionals work hard to give you the style of flooring that you would like at a price that you can afford. Our process is modern and streamlined. 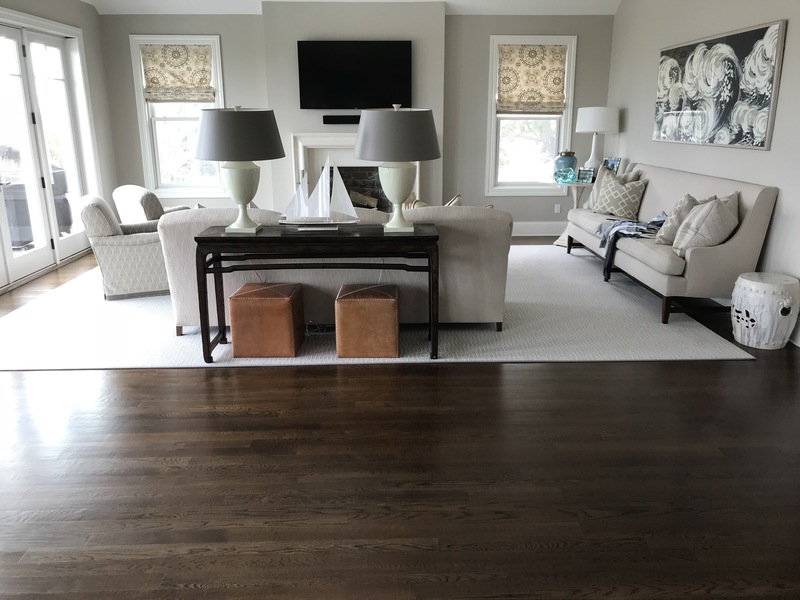 Once the furniture in the room is cleared and the homeowners have selected their stains and finishes, we begin by sanding down the existing hardwood floor. Most homeowners are concerned with the dust that will come up when the floors have been sanded. Although there is a little bit of dust that inevitably will come up with any sanding job, we use modern sanding equipment that is attached to a vacuum. As the sander begins to do its job, the dust is immediately collected and pulled into the vacuum. This not only leaves the home and surrounding rooms clean and dust free, but it also creates a better surface for us to begin the staining and refinishing process. 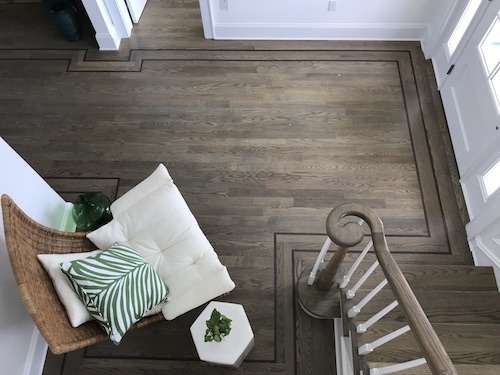 Depending on the finish chosen by the homeowner, the Hamptons Wood Flooring refinishing process is usually complete and ready to walk on the very next day. 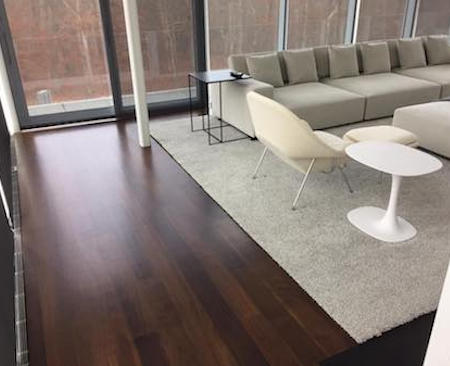 Whether your floor is light or dark, wide plank or thin, we can provide you with Hamptons Wood Flooring refinishing options to make it look brand new again. If you are considering replacing your worn out hardwood floors, while that is always an option, give us a call, and we may be able to save your existing floors or update their color. 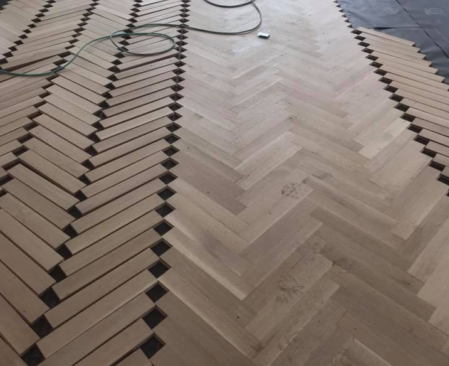 Creating a beautiful hardwood floor is actually a rather intricate job and needs to be done correctly in order to have a beautiful flooring surface. Hamptons Wood Flooring craftsmanship and honest referrals are second to none. From wood floor installation to refinishing, you can always be certain that your job will be completed exquisitely and skillfully. When you’re looking for hardwood flooring, there are many factors to be considered. 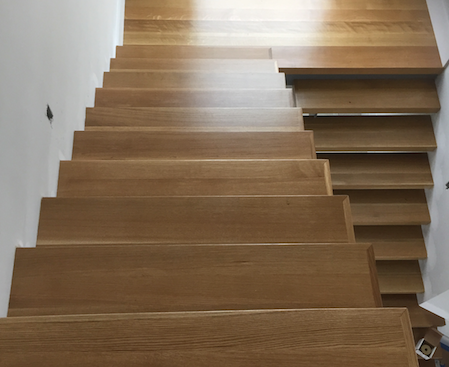 When we first arrive to measure your job, we will have a thorough discussion with you about what you might want out of your floors, where you will be installing them, and the expectations that you might have for the type of wood that you would like to pick. Based on our experience and hands-on approach, we will make suggestions all while staying well within your budget. 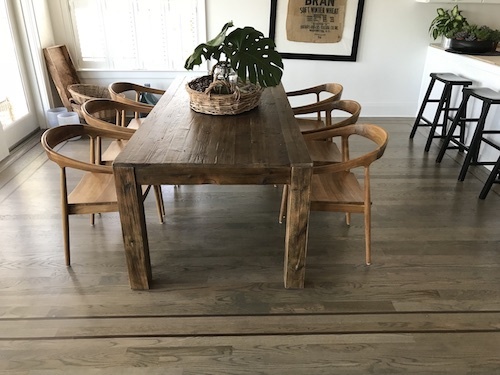 When many homeowners are looking to either refinish, refresh, or install an entirely new floor, they often need advice on the types of woods available for each application. If a homeowner is trying to achieve a certain look for their home or match an existing space with hardwood flooring, we also can help in the selection. Hardwood floors come in an unending variety of colors, styles and widths. When picking out your hardwood floors, the design options are only limited by your imagination! Well installed hardwood flooring will outlast most homeowners and easily passes on from homeowner to homeowner. It makes any home feel more warm and welcoming and works well with the style of any room, whether it’s modern, ultra-contemporary, traditional, farmhouse, country cottage, antiqued or sophisticated. Unlike other flooring options that can be worn out or antiquated over time, wood flooring gains character as the years pass and the value of wood floors in any home increases year after year. Wood floors are proven to increase the value of your home and any realtor will tell you that a home with wood floors will sell for exponentially more money than one with carpet or laminate flooring. Wood is replenishable, all natural, and reusable. For those that are conscious of our environment and want a green option for flooring, you cannot pick a better choice than wood floors. Wood flooring is easy to care for and will last for years to come. The selection of wood floor options are endless. We can install your wood floors in any color or style you can dream of. A well-installed wood floor pays for itself over time, and with proper maintenance, a wood floor will last for generations to come. 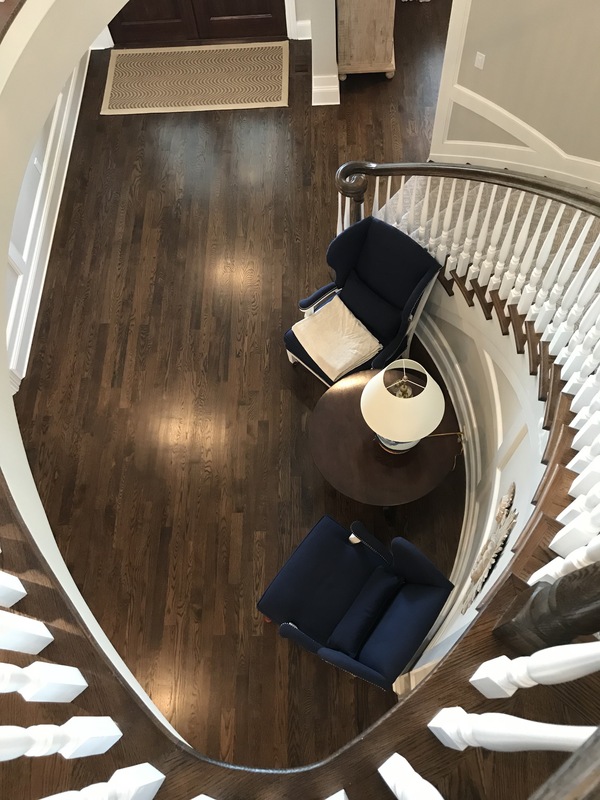 Wood floor refinishing is the ideal solution to scuffed or scratched floors, or simply if you want to create a more elegant look in your Hampton’s home. 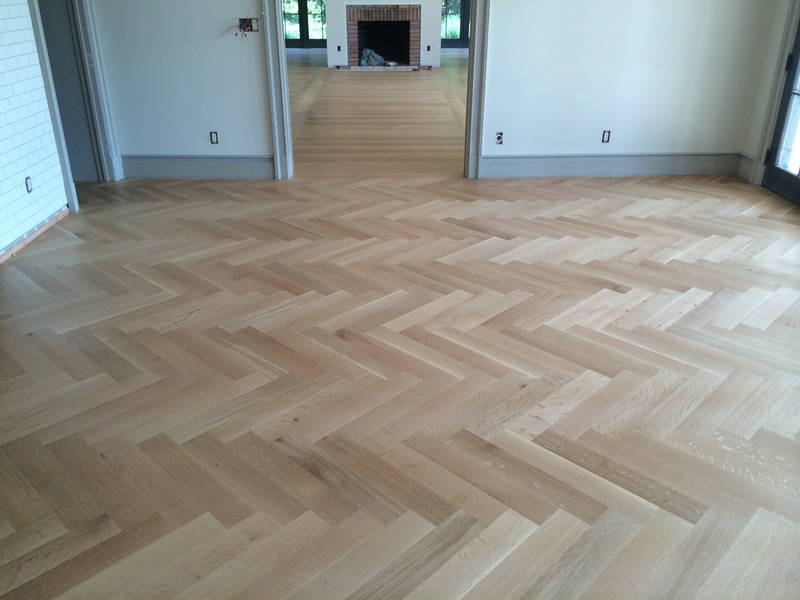 A Hamptons Wood Flooring contractor can restore your floors by refinishing or replacing damaged parts of the floors. Plus, if you are selling your home, a fully refinished hardwood floor adds value and attractiveness to your home. Many buyers highly prefer wood floors to carpet because of their beautiful appearance and easy maintenance.